The motto of The Scots’ Church is “In God We Trust”. We believe that by faith in God through Jesus Christ, and by trying to live in the way God wants us to live, men and women can find strength, purpose and peace. 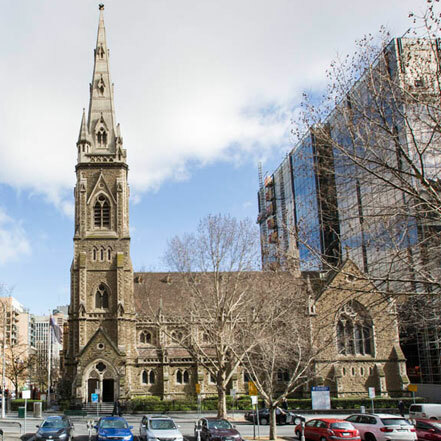 *The Werner Brodbeck Hall and the Robert White Hall are located next to the Church in the Assembly Hall building, 156 Collins Street.